Showing results for tags 'sub'. Hello Community, I have the sw-450 subwoofer and we just moved in to a new place so it's time to setup and recal everything, and I'm at a loss for the sub setup. My receiver has an auto-setup function with a listener mic, but how should I set the nobs on the sub? Should I be bypassing? Volume? I've seen a lot of mixed information, and I've even seen the "just experiment until it sounds good" suggestion. Can anyone give me a definitive answer? The rest of my setup is from the Icon series, so kf-28's in the front, ks-14's surround, kc-25 center channel. Pioneer Elite vsx-40 receiver. Thanks! I received the Triax sub today. I have calibrated it with the 4520, and it sounds great! I bumped up the bass on the sub from -8 to 0, and now when I watch TV shows I can hear the bass on them too. I never realized that tv shows had bass too, especially as to how deep they go... I have my La Scalas set to crossover @ 80, and the sub to crossover @120. The Denon required me to set the sub level to -8, so I let it and then raised it up to 0 when I was finished. When the Denon was @ -8 it sounded real good but now it sounds great! Boy, what a change this is from listening to the old KLH for 10 years! The bass is very deep and powerful! The first movie I put on was WWZ. I was not able to crank it up as everyone was home, but @ -20 it was sounding pretty good. My next movie up (for demo) was Tron... The bass on it is unreal, and that was @ -20 also! I also received my minidsp mic today, so hopefully I can run REW in the next few days and see how it looks. I only have 1 place that the sub can go currently so not much I can do about getting it flat, but someday I will have a garage converted to a HT, and then I will be able to do the sub crawl and get the sub optimized. All I can say is that even with a non room optimized sub it still sounds great! If you can get up the scratch to afford this sub you will not be disappointed! Looking for alittle help on what subs I should get that will go best with my Jubilee's for music. I went and listened to a table tuba with a 8' sub today and it sounded kinda flabby. It seemed more of a movie sub than music. The bigger version with the 15' might be another story or just more of what I heard. I want a sub that has fast- tight kick drum bass and I'm willing to give up alittle bottom end for better chest thump. Right now I am considering these: Tuba THT low profile. Danley dts-10 Danely spud JTR Orbit shifter Will consider any other DIY builds that might do the job. Appreciate any advise. Thanks, Mike. Do SVS subs ever go on sale? I'm not expecting any specific answers here, just a general inquiry if members here are aware of SVS sales, such as BlackFriday/Holiday sales...? I'm looking to buy the PB-1000, I realize for some people here $500 is pocket change and they'd say, "Just buy the thing already!". But for me, that's a considerable purchase and if I could wait a few months and save $100 or so it's something to think about. I figure it's a company that kinda sticks to it's prices? I know there is an outlet section, but the PB-1000 rarely is for sale in there, which is a good sign in my opinion. So, is anyone aware of SVS sales on their own site? I say that because I know they will go up on sale in B&M stores near me, but that voids the Bill of Rights that SVS provides. I want that 45-day trial, and the 1 year trade in offer, and the 5 year warranty. SVS reps tell me none of that applies (perhaps the 5 year warranty is still valid) if I purchase from a retailer. They set their own policies and don't have to adhere to anything SVS suggests. Thanks all! I've got an old SW-12 that I've had out of service for many years. I'm trying to get it to function properly again. I plug it in and I hear a humming or buzzing sound. It could be a 60HZ sound but the plug that comes with the sub does not have the third ground plug. It is simply a two pronged plug. I hear the noise whenever power is going into the unit. It does not matter if there are any connections made or not. I hear the same noise with it connected to the LFE RCA on the AMP. I hear it when there is nothing connected. 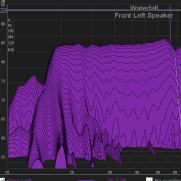 The volume of the noise is always the same level whether or not the volume on the sub is all the way up or all the way down or if the volume on the amp is muted or high. When you pass a LFE signal to the sub, it still makes the humm but otherwise functions properly. I get LFE frequencies that sound reasonable and all of the control knobs on the Sub appear to function properly. Is there anything that I can do to "fix" this noise other than taking it to a repair shop? What might be causing this noise? If necessary, I could mic the sub and record it and post a .wav file here. 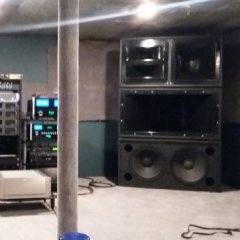 As the title reads: I know nothing about subs... My current setup as of yesterday - Fronts: RB-35 Center: RC-62 Surrounds: RS-52 Now, the hardest part is going to be convincing my wife that we NEED a sub... Whether this is true or not, she will not likely be receptive to spending another $300+ after I just picked up these RS-52 surrounds for $220 this week... So. Who is willing to educate me? Here is what I want to know: - Will a sub really make a difference? 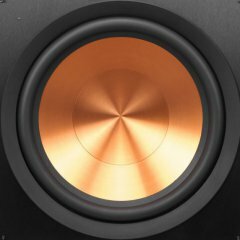 (my guess is yes, it will) - I can probably get away with buying a Polk PSW10 on Amazon (under $100), but is it really worth it? Better than nothing at all? - Ideally, what's the sub to help round-out my system? (I'm assuming RSW10 or RSW15 would be the suggestions?) - Assuming my budget cannot allow the two subs mentioned above ^, what's the "next best thing" - doesn't have to be Klipsch, but preferrably... More questions about subs in general: What's the typical lifespan of a sub for HT? I'm guessing most people just leave them on 24/7? Or is this something you turn on only when playing certain movies, games, albums,etc.? Do you leave the sub on when watching the news? I am happy with my current setup. I'm waiting to pick up the RS-52s this weekend so I'll get them mounted and see how that changes the sound in my room. I'm at a 5.0 setup. Moving forward I think a 5.1 would make sense. I just need to "feel" the difference, and have a little help here with justifying the purchase! Cheers all! Downsizing my collection so this is up for sale. It's a 15" Klipsch woofer (I'm not sure which model) in a custom built box made of MDF and Walnut Veneer. It's ported and the box is pretty well made (made by a local carpenter). Has a very high WAF as well since it doesn't look crazy and has a nice wood grain on all sides. Also included to complete your setup, is a HSU Research Model 500 Amplifier. It's has 500 watts and can be configured to your unique set up with multiple hookup options. I do have the original box for this. In addition, I have the following crossover chips included: 34hz, 51hz, 75hz, and 62hz (not pictured as its installed in the amp). Bass on this setup is great. Very deep, low, musical with plenty of power to rock the whole house if you so desire. Amp alone was $500 and sub and box w/ sub could easily fetch $200. I'm selling the whole setup for $350. Due to size and weight of sub and box only local pickup in Santa Clara, CA (40 minutes south of San Francisco). It's also set up so you can come audition in my home. Message me your number if you are interested. I have done a search and am not finding much for results, but my RW-10d died the other day. I turned it on, it made a crackle and died. The fuse is blown, but the board looks fine, no blown or melted resistors. I found one post where the users had replaced the MOSFETs and stated theirs were working again, but that was almost 6 years ago and I was wondering if it was still working, or did it at least last a year or two? I know most people replace the plate amp, but that's almost half the price of a new sub and I would prefer to not do that. If it comes to that then I will just upgrade to a new one, as long as they're not having the same problems as I see many have. 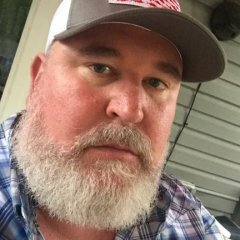 I contacted klipsch for advice and have yet to hear anything back from them also. And, if I can't fix it, what is comparable as a replacement? I have an Onkyo tx nr656, it has a sub hook up, and a sub pre out hookup, which one do I use and do I split the cable to connect to the r and l of the sub? Thanks in advance. heresy II sub speaker stands anyone built any?